As the political fervor grows with statewide candidates making their rounds – even to Edgefield – folks are making their commitments to their preferred candidates. 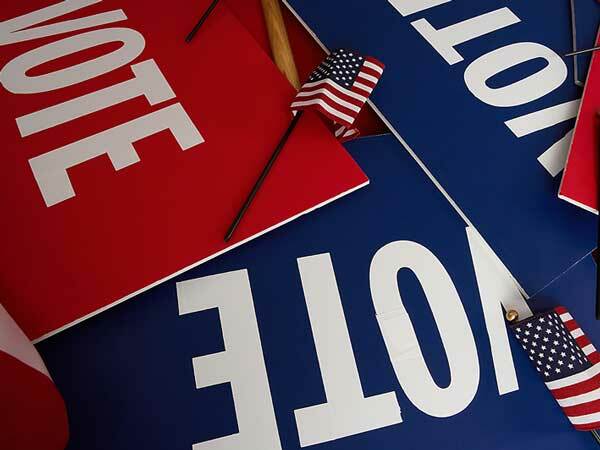 It is time to look at the list of those we will be choosing from and to review the list of our leaders in County Government – provided by our Voter Registration office. The Advertiser provides for you the local list below, in order for you to have an early advantage of what the ballot may hold. A goodly number of the candidates listed below do not have opposition, and are familiar to citizens. Do take note that there are a number of county-wide races that have opposition: Probate Judge, County Council District 3, County Council District 5 and School Board District 1 (non partisan). In these races the incumbent is marked with an (I). Must Section 7, Article XVII of the Constitution of this State be amended so as to provide that a raffle is not a lottery prohibited by this section, if the raffle is conducted by a nonprofit organization for charitable, religious, fraternal, educational, or other eleemosynary purposes, and the general law defines the type of organization authorized to operate and conduct the raffles, provides standards for the operation and conduct of the raffles, provides for the use of proceeds for charitable, religious, fraternal, educational, or other eleemosynary purposes, provides penalties for violations, and provides for other laws necessary to ensure the proper functioning, honesty, and integrity of the raffles, but in the absence of any general law, then the raffle remains a prohibited lottery? A ‘Yes’ vote will allow certain nonprofit organizations to conduct raffles and use the proceeds for charitable, religious, or educational purposes. A ‘No’ vote maintains the current law that considers a raffle to be a lottery and is prohibited. Must Section 7, Article VI of the Constitution of this State relating to state constitutional officers and Section 4, Article XIII relating to the Adjutant General and his staff officers be amended so as to update references to his title; to provide that the position of Adjutant General is recognized as holding the rank of Major General, as opposed to Brigadier General; to provide that upon the expiration of the term of the Adjutant General serving in office on the date of the ratification of this provision, the Adjutant General must be appointed by the Governor, upon the advice and consent of the Senate; to provide that the appointed Adjutant General serve for a term not coterminous with the Governor and may be removed only for cause; and to require the General Assembly to provide by law for the term, duties, compensation, and qualifications for office, the procedures by which the appointment is made, and the procedures by which the Adjutant General may be removed from office? A ‘Yes’ vote will require, beginning in 2018, the Adjutant General be appointed by the Governor with consent of the Senate. The General Assembly will set the term, duties, compensation and qualifications for office and procedures by which appointment is made and how an Adjutant General can be removed from office. A ‘No’ vote maintains the current method of electing an Adjutant General.